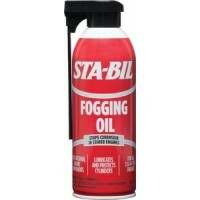 Fogging oil 12 oz. Size: 12 oz. Aerosol.. Prevents corrosion when storing inboard or outboard engines for an extended period of time. Special ..